NintendObserver’s select content on Kirby Squeak Squad for Virtual Console. 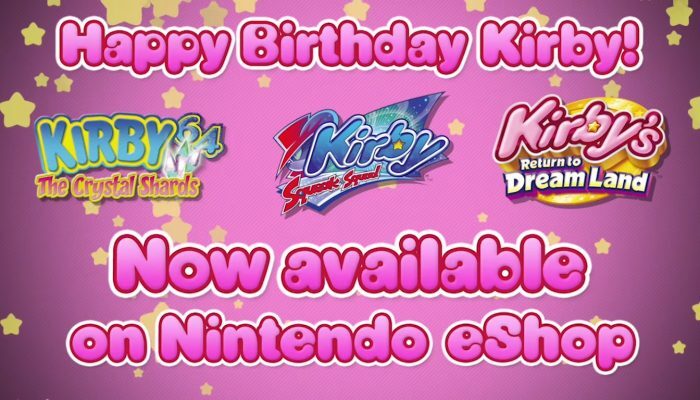 Nintendo eShop – Happy Birthday Kirby! Kirby turns 23 in North America. Comments Off on Nintendo eShop – Happy Birthday Kirby!